How to put music on PSP step by step. How to put music on PSP? 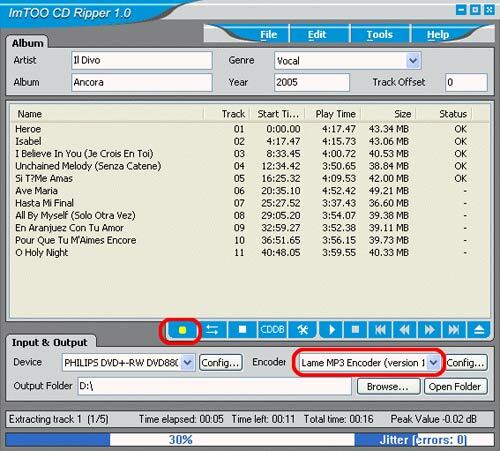 This article describes how to convert audio CD, popular video and audio format files to PSP music file (MP3) and put it on the PSP with ImTOO PSP Music Suite. 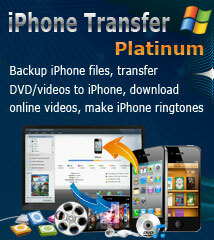 Download ImTOO PSP Music Suite and install it. 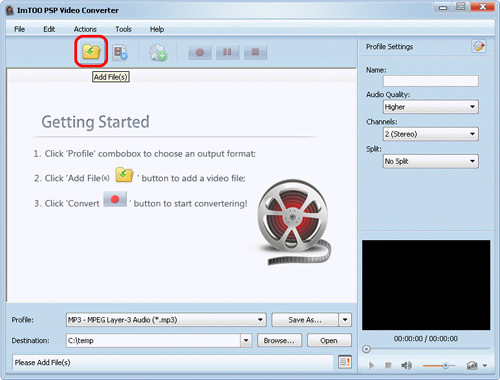 To Convert audio files to PSP MP3, Launch ImTOO PSP Video Converter, load the file(s) by clicking the "Add" button in the main interface or choose "Add" in the File menu. Highlight the loaded file and choose output format from "Profile" combo-box. Here, you must select "PSP Audio Format (.mp3)" for your PSP. Click "Browse..." button to select folder or entering the path directly to decide where to save the output file; "C:temp" is the default one. 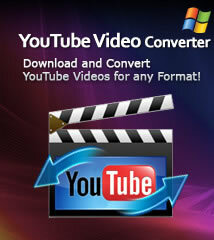 Click "Encode" to start converting. Once the conversion is complete, you will get .mp3 file. 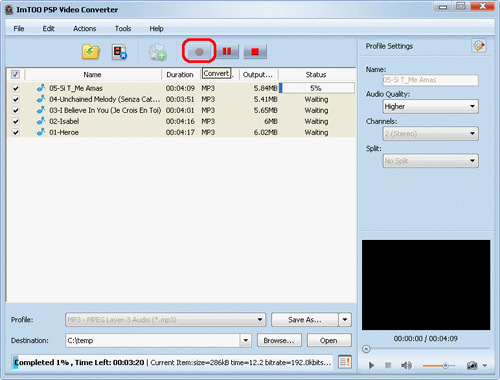 To download or transfer your music to PSP, just connect your PSP with PC, and copy your mp3 file(s) into "H:PSPMUSIC" (where "H" is the drive letter of your PSP). What to do next? Just enjoy music on your PSP!